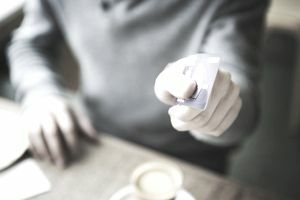 While building credit is an important aspect of your financial health, it's all too easy to end up damaging your credit instead if you don't it right—especially when using a credit card. There is a big difference between no credit history and a poor credit history and how it affects your credit score. Additionally, you can qualify for a home mortgage without having a credit card. So don't jump into building credit too quickly if you know you lack the self-control to do it responsibly. But if you are ready and want to build your credit using a credit card, these four steps will help you do so responsibly and effectively. You do not need more than one credit card. This includes gas cards, store cards and any other type of credit card. One credit card is all that you need. If you have too many credit cards it reflects poorly on your credit report. Additionally, while it can be tempting to open a store credit card (hello, discounts!) these might not be the best choice when trying to build credit. For one, they charge a very high interest rate. Stores know that that the majority of people do not pay off the balance in full each month, which means they make a lot more in interest than they offer you in savings. And we all know it can be tempting to spend money you do not have when there is a sale. Don’t tempt yourself. Instead, stick with a low interest rate credit card with no annual fees and a small credit limit when trying to build your credit. Bonus if you find a card that offers good rewards, like cash back or travel offers, which can save you money in the long run. When you're first starting to use credit cards, it can be tempting to use a card with a high credit limit. As a credit beginner, you don't want to do this. Stick with a credit card with a lower credit limit, such as $500-$1,500. This will help you stay on track and not get out of control with your spending. It will also help you pay off the balance in full each month, which is the goal when trying to build credit using a credit card. You can call and request that your bank not automatically raise your credit limit. This will stop you from getting into too much debt, preventing you from being able to pay the balance off in full each month. If you focus on paying off these lower amounts, you should be able to fairly easily—and build your credit in the process. You build your credit history and show that you are responsible by paying your monthly payments on time, every single month. By staying within your budgeted amounts on all your spending, you should be able to do this. You can avoid carrying a heavy debt load by simply never charging something that you can't pay cash for. This is the most important thing you can do to show that you can manage your finances and build your credit history. Using a large amount of your credit or nearly all of your available credit will make your credit score drop. If you do carry a balance for a few months, be sure that you keep the used balance to a maximum of 30% of your available credit limit. If the balance inches higher than this, (and especially if it reaches the limit), you may see your credit score drop. It is important to keep this in mind if you are using your credit cards to improve your credit score. You may be offered free pizza, t-shirts and numerous other gifts for applying for a credit card. You may think that signing up to get something free or something you want won't hurt. Plus, you can just cancel that card later, right? Actually, no. Every time you open a credit card, your credit score can take a hit. Your credit score can also get dinged if you have too many credit cards open. Plus, canceled cards do show up on your credit report. So save yourself the trouble by simply not applying. This will save you money and time in the long run. Another option is to consider using a prepaid credit card. This gives you the chance to handle your money responsibly and shows that you are ready to apply for a credit card with a line of credit after a few months. You need to be sure you are financially ready to handle a credit card before you apply for one. This means you are able to stick to your monthly budget, and that you know you will be able to pay it off in full each month. It is important to realize that credit cards are not evil. However, they can be easily mismanaged, and if you do not handle them properly you can end up in a lot of financial trouble. If you know that you will not use a credit card responsibly, it is best not to have one at all.